BUSAN, South Korea--(BUSINESS WIRE)--Busan Metropolitan City has announced that it will host the 23rd Busan International Film Festival and G-STAR 2018. The 23rd Busan International Film Festival will feature 323 movies on 30 screens from October 4th to 13th, and the nation’s best gaming expo, G-Star 2018 will be held at BEXCO in Busan from November 15th to 18th, 2018. 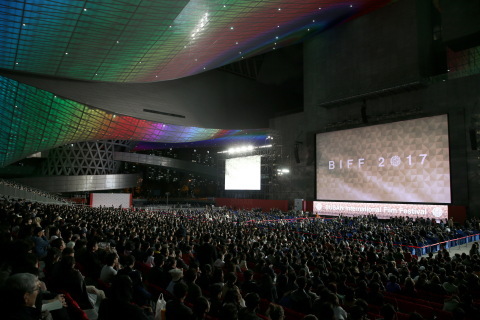 During the 23rd Busan International Film Festival, 323 movies from 79 countries will be screened on 30 screens in five theaters, including the Busan Cinema Center, CGV Centum City, Lotte Cinema Centum City and Megabox Haeundae. Films include 115 World Premiere films (85 long films, 30 short films) and 25 International Premiere films (24 long films, 1 short). The opening film chosen for this year’s festival is “Beautiful Days” directed by Yun Jero and the selected closing film is “Master Z: The Ip Man Legacy” directed by Yuen Woo-ping from Hong Kong. Beginning this year, a new section, BUSAN Classic, has been created to introduce the works of master filmmakers and the restorative works of movies and classics that yearn to be seen again, and the overall number of screenings and programs has increased. Game Show & Trade, All-Round ‘G-STAR 2018’ will be held in BEXCO, Busan from November 15th to 18th, 2018. During G-Star, various events such as domestic and overseas gaming exhibitions (BTC), business consulting booths (BTB), conferences, investment market, recruitment fair, and game award ceremonies will be held. Busan Metropolitan City has been the host city of G-Star since 2009, and this year marks the 10th year that Busan is holding this annual event in the city. In 2017, the scale was the largest ever with 2,857 booths from 676 companies in 35 countries attending, and more than 220,000 people visiting the event. The 23rd Busan International Film Festival will be held October 4th to 13th and G-STAR 2018 will be held from November 15th to 18th in Busan.